The ANC regards ongoing load shedding as suspicious, claiming it suggests sabotage. 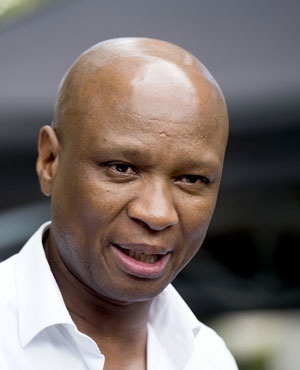 In a statement on Tuesday morning, acting national spokesperson for the ruling party Zizi Kodwa said load shedding hinted at "signs of sabotage to undermine the efforts to grow the SA economy and bring much-needed investment to create more jobs". It could be no coincidence that the recent implementation of load shedding followed "bold efforts" announced by President Cyril Ramaphosa during the State of the Nation Addres, Kodwa added. Ramaphosa announced in his address last week that Eskom would be split into three entities – generation, transmission and distribution. All three companies will fall under Eskom Holdings. On Sunday, three days after his announcement, Eskom instituted stage 2 load shedding. On Monday the utility instituted stage 4, while on Tuesday Eskom started stage 3 load shedding at 08:00. Kodwa questioned whether Eskom management was telling the country the truth regarding the extent of the crisis and the state of various power stations. Eskom spokesperson Khulu Phasiwe, meanwhile, said on Monday that load shedding had returned because of plant break downs, and not sabotage. The board of the power utility held an emergency meeting with Minister of Public Enterprises Pravin Gordhan on Monday. In a statement released after the meeting, Eskom's board said the major new Medupi and Kusile power stations were "continuing to show a lack of reliability to contribute meaningfully to Eskom’s generating capacity, which is a serious concern". The National Union of Metalworkers of South Africa, one of three recognised unions at the power utility, has rejected the unbundling of Eskom, Fin24 reported previously. The union is concerned that the unbundling would lead to the privatisation of Eskom, which would lead to job shedding. The Congress of South African Trade Unions, in turn, has called for Ramaphosa to make a commitment that the restructuring would not lead to job losses. Neither Eskom nor Kodwa immediately replied to requests for additional comment.